The search for sound methods for surveys and trials led the early investigators of CVD epidemiology to active communication and collegial collaboration. Support agencies such as NIH, WHO, and heart foundations worldwide fostered an early exchange of methods, concepts, and data. They published expert reports and procedural manuals, elevating the science of prevention. New tools of data management, computation, and analysis emerged in this period, which greatly facilitated CVD research in populations. A major contribution of epidemiology, multivariate analysis, was made possible by electronic computers. The support agencies were crucial to the rapid and effective progress made in CVD epidemiology and prevention research. Each had different strengths, ways of operating, funding assets, and institutional “personalities.” Occasionally they collaborated but mainly were complementary in their roles of advice, design, funding, coordination, and direction. The National Heart Institute (NHI) was opened as a new institute of NIH in 1948, with a mission to support extramural research in CVD. 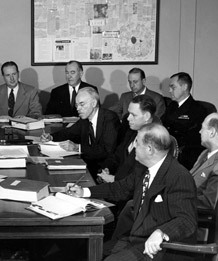 Pictured at left is the first Heart Council meeting, led by Paul White. The NHI established a balanced strategy of support for clinical, laboratory, and epidemiological research, and soon took jurisdiction over the Framingham Heart Study. An early director, James Watt, was an epidemiologist who strengthened the organizational base of the population approach to research at the Institute. Thus, from the outset, prevention science was firmly set into U.S. CVD research policy and programs. The NHI, renamed the National Heart Lung and Blood Institute (NHLBI) in 1976, has led in CVD research internationally. Public health-oriented cardiologists within the New York Heart Association influenced its restructure into the American Heart Association in the early 20th century. It became both a professional and public agency in 1948. The community views of AHA leaders led to formation of a Scientific Council on Epidemiology and Prevention that became the parent body of CVD epidemiology in the U.S. 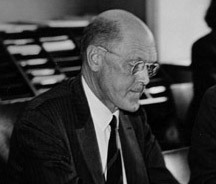 In the 1950s and 1960s, the Research Committee of the International Society of Cardiology (now the World Heart Federation), under the leadership of Paul White and Ancel Keys, began research programs and specialized training in CVD epidemiology and prevention. It organized international seminars, and molded the ISC into councils with research and training missions, thereby “mainstreaming” CVD epidemiology and preventive cardiology. In the process it trained hundreds of young investigators in prevention efforts. WHO efforts in CVD prevention were fostered by the international community and by leaders of the U.S. National Heart Institute. 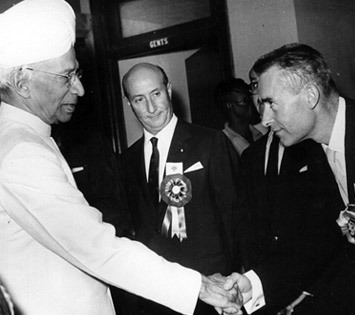 WHO responded to the growing CVD epidemic by assembling experts for prevention research and policy and by establishing in 1957 a formal CVD Section in its Geneva headquarters with a separate European Office operating from Copenhagen. The first Geneva director, Zdenek Fejfar, organized crucial Expert Reports and collaborative international studies in CVD prevention. WHO developed standard methods and criteria, with manuals of operation. It published recommendations about study design and procedure, and its reports defined major problems and enlisted expert solutions for them. Major WHO collaborative studies included the first cholesterol-lowering trial (Clofibrate), the European Multiple Risk Factor Intervention Trial in Industry, the Myocardial Infarction Registries, and the MONICA Project of international CVD surveillance. The MRC was first formed in 1913 as the Medical Research Committee and incorporated by Royal Charter in 1920 as the Medical Research Council. In the 1950s and parallel with the British National Health Plan, the MRC undertook to stimulate and fund chronic disease research. Several early units had a strong epidemiologic and social medicine focus, one a Statistical Research Unit at the London School of Hygiene and Tropical Medicine under Bradford Hill with Richard Doll and another, a Social Medicine Research Unit under Jeremy Morris at the London Hospital Medical School. Finally, an Epidemiological Research Unit under Archie Cochrane, with Ian Higgins and William Miall at Cardiff. All were oriented toward cardio-respiratory problems and pioneered public health research in CVD. Later research units developed throughout the United Kingdom including Scotland and in Jamaica.